These notes are straight from the lens designer, J. Brian Caldwell, Ph.D., of Caldwell Photographic Inc, in response to questions posed by Lloyd Chambers of diglloyd.com. Italicized type indicates lens designer comments. The lens was optimized for a flat image plane for both distant and close object distances, and there is very little to be gained by allowing the image plane to curve, or equivalently considering a curved object plane. 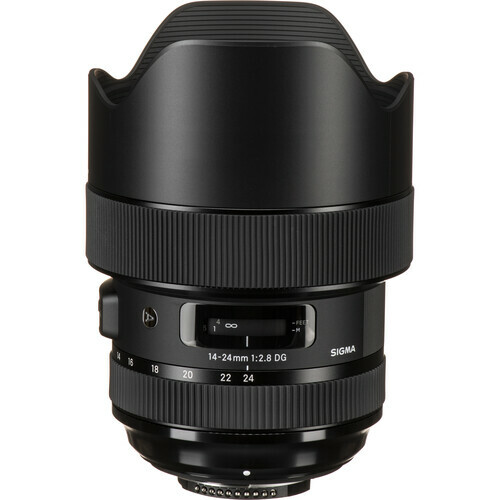 If you look at the MTF curves for infinity focus that I put in the online brochure you'll see that at f/5.6 there is essentially no drop in performance over the DX format (~29mm diagonal), and only a very small performance drop in the outer parts of the FX format (43.2mm diagonal). So, at f/5.6 you probably will have difficulty detecting any field curvature at all. At f/4 the MTF curves show a little more off axis performance drop than at f/4. You might be able to detect a very small amount of field curvature at f/4, but it will not be at all obvious. I took some images of large flat test charts, and the lens delivered sharp images at f/4 out to the extreme corners on a Canon 5D (using a mount adapter). At close-up distances there is virtually zero field curvature, and this is one reason why the MTF curves that I show for 1:2 magnification are so flat across the field. In fact, at 1:2 and f/5.6 the lens meets the more challenging criterion for a diffraction-limited lens (Strehl ratio > 0.8) from 365nm all the way to 900nm. Emphasis (bold) added by diglloyd.com. The lens is a true apochromat in the old-fashioned and more rigorous sense of the word, with three widely spaced color crossings in the UV, VIS, and IR portions of the spectrum. As you probably know, true apochromats are a surprisingly rare thing in photographic optics despite the proliferation of "apo" lenses on the market. The MTF curves that I calculated for the UV, VIS and IR portions of the spectrum all share a common image plane. In other words I forced a zero focus shift condition on the analysis. Despite this, the MTF values are exceptionally high for all portions of the UV-VIS-IR spectrum. There is a small drop in the IR band, but this is due to diffraction. In the UV it is possible to squeeze out a tiny amount of extra performance at wider apertures by shifting the focus about 0.001", but this is really just a theoretical thing that would be very difficult to observe in practice. There is essentially zero focus shift as you stop down from f/4 to smaller apertures. I paid special attention during the design phase to ensure this. The design is a two-group type in which the rear group is stationary during focusing. This ensures that the residual aberrations, especially coma, remain small for all object distances. As I mentioned above, the lens is diffraction-limited at 1:2 magnification at f/5.6 (~f/8 effective). At infinity focus it is close to diffraction limited at f/5.6, but the wavefront error is slightly greater than at 1:2. Nevertheless, the MTF at infinity is better than at 1:2 simply because the effective aperture close-up is about a stop slower. In other words, performance is very good at all focus distances. DIGLLOYD: translation: “very good” = world class. The optimum aperture is f/5.6. Opening up to f/4 or f/4.5 improves the on-axis performance very slightly, but drops corner performance. Stopping down from f/5.6 to f/8 improves performance slightly in the extreme corner of an FX frame, but drops performance over most of the field. f/11 is worse than f/8 in every part of the field. Color rendition in the visible should be very neutral because neither the coatings nor the optical materials impart any substantial color shading. The AR coatings are a 12-layer stack designed for good performance over an extremely wide waveband, and they have very little variation over the visible band. We did do an end-to-end transmission measurement of a complete prototype using a spectrophotometer, and it does show a fairly flat performance from ~350nm out to ~1000nm. The coated surfaces do have a very pale color cast, but not nearly as strong as a typical multicoated lens. The coatings are 12 layers deep, which is pretty exotic for a photographic lens but is necessary to achieve the performance we wanted over such a wide waveband. From 300-1000nm the coating efficiency is approximately 99%, meaning that there is a reflection of about 1% at each air-glass interface. This is good, but not as good as visible-only AR coatings, which can be roughly twice as efficient. When you point the lens at the sun you will get flare, but I haven't yet done a detailed comparison with other lenses. DIGLLOYD: field shooting shows that flare control is not perfect, but bettered by very few lenses, and is rarely a problem in practice. The 52mm rubber B+W Telephoto lens hood is highly recommended for the 60/4. Hot spotting is a completely different issue. I paid particular attention to the central hotspot issue during the design phase, and was able to keep pupil ghosting at the center of the frame to a minimum. This design approach combined with very good coating performance in the infrared pretty much solves the hot spot issue. Using a B+W 93 filter with an unmodified D70 camera I have been unable to see any sign of a central hotspot regardless of aperture. I have done some work with tricolor IR filters from MaxMax, and these do cause a diffuse hot spot due to their dichroic nature. However, the lens is not involved in this. DIGLLOYD: see the diglloyd Guide to Digital Infrared Photography for an extensive study of infrared hot spots with over 50 lenses. The lens is designed to be used with a 2mm thick plane parallel piece of glass in front of the sensor. This models the effect of the filter pack used in most cameras. If you use a camera in which the glass has been removed there will be a slight performance drop in the outer part of the field. Its a fairly minor effect, but something you should be aware of. Also, if you use an IR modified camera which has been tuned to counter the "typical" IR focus shift error found in the "typical" photo lens you will wind up with a focusing error when using the 60/4 UV-VIS-IR. For accurate shooting in the UV and IR you need the camera to be set up for accurate focusing in the visible waveband. Regarding the sensor glass, there are at least two distinct issues. First is the issue of visible/infrared parfocality. I purchased a copy of your excellent article on IR imaging, and its pretty obvious that most (virtually all?) lenses do not hold focus in the IR when you focus in the visible. Our lens has no focal shift between visible and IR, or between visible and UV. Thus, the ideal IR-converted camera for our lens would have a replacement sensor glass that has an optical thickness identical to that of the original filter pack. DIGLLOYD: It is correct to say that none of the over 60 lenses tested can hold the same focus from visible through the infrared band. The 60/4 is unique in being able to achieve this. Which leads to a compromise when converting a camera: convert for the 60/4 or convert for the average lens? Recommendation: if you’re buying the 60/4, optimize for it. In the case of your converted 5D, it sounds like MaxMax made a stab at trying to counteract the IR chromatic aberration found in virtually all photographic lenses by using a different optical thickness for their replacement sensor glass. As a result you will probably get a small focus error when using this particular camera with a perfectly corrected lens such as ours. Of course, the technique used by MaxMax cannot account for varying degrees if IR focus shift found among different lenses, nor can it account for varying degrees of focus shift that you get when using different IR filters. DIGLLOYD: This mirrors my research in the diglloyd Guide to Digital Infrared Photography. 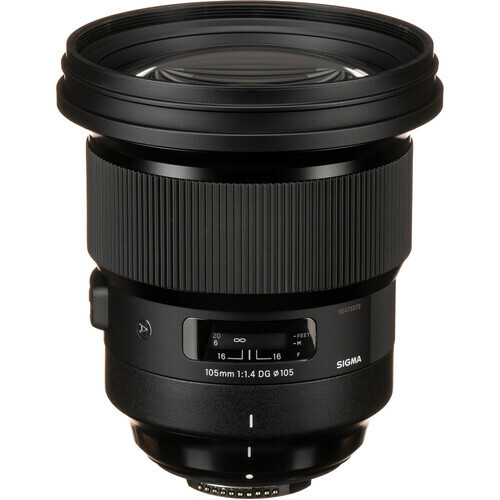 The Coastal lens is adjusted to work properly with a standard F-mount, and as a result will focus correctly on any standard Nikon digital or film camera, or on any standard Canon camera with an appropriate mount adapter. Due to the extensive use of fluorite we have incorporated a small over-travel on the focus motion to allow infinity focus in extremely cold temperatures, but this is a fairly minor detail. The second issue relates to aberration correction. Any time you place a plane-parallel piece of glass in the path of a converging light beam you introduce aberrations. Virtually all digital cameras have a cover glass of some sort. Even if you remove the filter pack there is still a thin coverslip that protects the actual pixel structures. The vast majority of digital cameras also include a filter in addition to this coverslip. 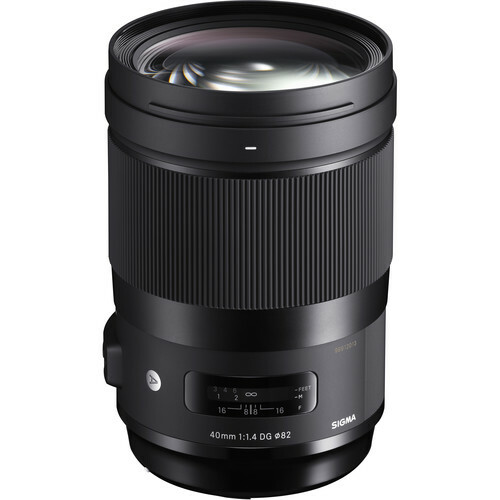 In order to achieve the best possible performance in a lens to be used with digital cameras it is therefore necessary to include the effects of all this glass near the image plane, and to counteract it by proper design of the lens. When designing the 60mm f/4 I called several people who were doing IR and UVIR camera conversions, and was told that DSLR filter thicknesses ranged from ~1mm to more than 3mm. There is no standard thickness, unfortunately. However, I had to pick something, and 2mm seemed like a reasonable compromise. It seems that this choice might be a very good match for a standard Canon 5D, since the filter pack is 1.45mm thick and the coverslip is probably ~0.5mm thick. Making a small error in filter thickness has a fairly minor effect on the aberrations, and even omitting it altogether will not cause a drastic reduction in performance. After all, any lens designed for film cameras will automatically have aberrations induced by the sensor glass when used on a digital camera, but very few people notice this effect. The sensor glass aberration effect is much greater when the exit pupil is shorter. Quasi-symmetrical large format lenses such as the Rodenstock HR series, which have a very short exit pupil distance relative to the image diagonal, really must account for the sensor glass in order to maintain good performance in the corners. In our case the exit pupil is much further away, and my decision to account for the sensor glass is based on a simple desire to achieve the finest possible image quality. From the beginning my goal has been to achieve not just ultra-broadband correction, but also to achieve better visible band performance than any other manufacturer. DIGLLOYD: And indeed shooting to date with other exotic lenses including the Leica 90/2 APO Summicron-R and the Leica 180/2.8 APO Elmarit-R does not suggest that the Coastal Optics 60/4 can be bettered.